Toyota Recalls Due to A Fire Hazard. A defective driver’s side window switch that can melt and cause a fire has resulted in the recall of about 6.5 million Toyota vehicles, the company announced last week. Toyota Motor Sales USA said the power-window master switch in certain vehicles may not have enough lubricant grease, and could short circuit, causing the switch to overheat and melt. The melting switch can produce smoke and potentially result in a fire, Law360 reports. The Camry and Camry Hybrid, Corolla, Highlander and Highlander Hybrid, Matrix, RAV4, Sequoia, Tundra, Yaris, Scion xB and Scion xD, from model years ranging from 2006 to 2011, depending on the model, are included in the recall. 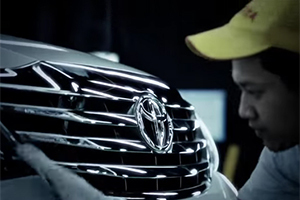 Toyota said it is notifying owners of the affected vehicles about the defect. Dealers will apply heat-resistant grease to the switch and will replace an internal circuit board if the switch is not operating normally, according to Law360. The company’s web site lists which years are recalled for each vehicle. Lubrication Problems in Power-window Controls. Toyota already issued a similar recall in 2012 for some 2009 to 2011 vehicles. A total of 7.4 million vehicles were recalled worldwide in October 2012, with 2.5 million recalled vehicles in the U.S. due to lubrication problems in power-window controls that can lead to a fire. Toyota recalled more than 420,000 RAV4 vehicles over a potential windshield wiper problem. Corrosion could cause the wiper link to separate from the wiper motor crank arm and the wipers then stop working. Without working wipers, the driver has reduced, possibly inadequate visibility, increasing the risk of a crash, Toyota said. Toyota recalled about 625,000 Prius hybrids worldwide. A software glitch can cause the hybrid system to shut down while the car is being driven. That recall includes about 340,000 cars in Japan, 160,000 in Europe and 120,000 in North America, Law360 reports. For the most up-to-date recall information on Toyota, Lexus or Scion vehicles, owners should visit toyota.com/recall. Customers can check their particular vehicle by entering the Vehicle Identification Number (VIN). Recall information by VIN is also available from the National Highway Transportation Safety Administration (NHTSA) at safercar.gov/vin. Vehicle owners can direct additional questions to Toyota Customer Service at 1-800-331-4331, or Lexus Customer Service at 1-800-255-3987. Toyota is also feeling the impact of Takata corporation’s defective air bag recall. The defective air bags can rupture, sending plastic shrapnel flying at the vehicle’s occupants. Defective air bags have been linked to eight deaths and numerous injuries. The automaker expanded its recall in June, adding an additional 2.86 million vehicles in China, Japan and Europe, for a total of nearly 19 million vehicles worldwide. Vehicle owners who think their vehicle may have the defective inflators can go to safercar.gov to enter their VIN and determine if their vehicle is among those recalled. In late August, Toyota said it may use replacement air bag inflators from other suppliers in order to keep up with volume of air bag recalls. Need Legal Help Regarding Toyota Recalls?